6th generation Mario Fontana, along with his mother Elda, wife Luisa and their two boys Edoardo & Vasco, created Azienda Agricola Cascina Fontana, this tiny 4ha jewel of a Barolo estate in 1995. Based in the hamlet of Perno they own parcels in three Castiglione Falletto vineyards: Valletti, Villero and Pozzo; in Sinio just beyond Serralunga & also in La Morra’s Gallinotto from vintage 2008. Mario tends the vines as sensitively as possible, makes the wine and, when necessary, also delivers it in his blue van. He prefers the traditional approach to making Barolo wine: blending all his Nebbiolo vineyards to make one wine; the sum of the parts; a thoroughly consistent wine from one year to the next; a 15-20 day stainless-steel cuvaison; 2 years in large 25 hl slavonian barrels (a 30 year old chestnut barrel! ), followed by 1 year in stainless steel and 1 year in bottle pre-release. 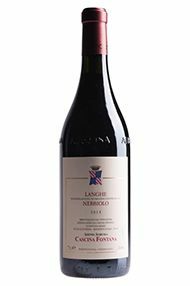 His languid Langhe Nebbiolo wine is made in the vineyards: using fruit from Castiglione’s Pozzo & Sinio’s vineyards, macerated for a shorter period than that destined for Barolo, the wine spends a brief invecchiamento (elevage) for twelve months in old french tonneaux. 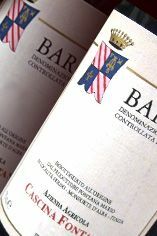 The perfection introduction to Nebbiolo, it can be drunk young or after ten years! 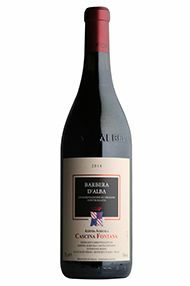 The full but svelte Barbera d’Alba is made from a combination of 60% fresh Sinio & 40% classy Castiglione Falletto fruit, aged for circa 12 months in used barriques; production on average only 500 cases/anno. His philosophy harks back to the lessons learnt from his grandfather - "I was brought up with the smell of fermentations in my nostrils" – to the extent that he continues to place vats outside during winter to stabilise naturally, and will not move wine nor prune with the new moon. In addition Mario goes the extra mile in quality control, performing one hundred checks on the wine prior to bottling. Traditional and contemporary winemaking at its best, and best enjoyed with food. The 2016 shows incredible intensity of fruit, while retaining great freshness and energy. Mario’s Barbera hails from Sinio (famed for its fruit-rich wines) and from high pedigree, Castiglione. Half of the blend stays in cement tank, half in older barrels, giving the wine rounder edges and enjoyability. Raspberry ripple, black and red cherry fruit and bright berry freshness give way to succulence and supple, vivid, blue-fruit freshness. Drink now to 2028. Mario decided not to make a Barolo del Comune di Castiglione Falletto in the 2014 vintage, so this is very much a “super-Barolo”, with a higher percentage of Castiglione Falletto (75 percent) than in 2013 when it made up 60 percent. The remaining 25 percent comes from their La Morra Giachino vineyard. Cassis, rose petals and rosemary dance on the nose. The palate leads with these flavours but also shows more La Morra characters, earthiness and orange peel. The quality of Castiglione Falletto is perhaps more evident on the tight, more chiselled palate, with a gleam of coiled cassis. It’s taut, exciting, sapid and long. Drink 2022-2035. Mario is constantly challenging himself to do better. 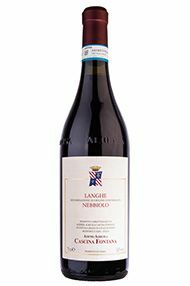 The beautiful 2013 Langhe Nebbiolo is a prime example: gone are the old French barriques, bring out the large Slavonian botti to frame his crystal-clear fruit, blended from the village of Sinio (just beyond Serralunga d'Alba) and of course from his noble Castiglione Falletto vines. It's got a really beady, almost partridge-eye focus, cool poise, a silky thread of roses, kirsch-soaked damson fruit and incisive purity. Utterly fantastic, this could be his finest Langhe Nebbiolo yet. 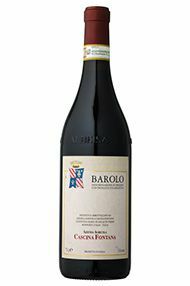 Sixth-generation Barolo producer Mario Fontana set out on his own in 1995, and since then has been refining his Dolcetto, Barbera and Nebbiolo wines with each year that passes. His Barolo is arguably the most Burgundian of our range, with delicacy and gentleness that comes from reasonable yields, traditional vinification, maturation in large Slavonian oak for 24 months and having one’s feet on the ground. 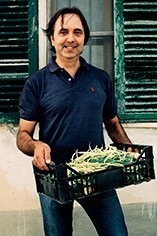 He has just planted another hectare in the village of Sinio, taking the total to five hectares (the others being in Castiglione Falletto and La Morra, the latter belonging to his wife Luisa). It was his grandfather Saverio who reminded Mario of the merits of producing Barolo with one's own Nebbiolo fruit, rather than buying from those around. Mario took this lesson to heart, building on Saverio's legacy. He's gone a step further in 2011, introducing a battery of cement tanks in which to marry the wine – a blend of fruit from Castiglione Falletto and La Morra – prior to bottling. This has definitely given the 2011 Barolo a more relaxed, harmonious feel: dark strawberry-garnet, the nose charms with joyful summer fruit, of raspberry and strawberry, along with a hint of quinine and orange peel. It's very relaxed and civil, like Mario, yet with a more serious kernel of intensity, a tea-leaf and bergamot fragrance, a sense of purpose, of profoundness, sapid and long. Focussed, yet forever gentle and restrained, it’s a kernel of sage, dried rose, clove and loganberry; the fruit from his Castiglione Falletto vineyards of Valletti and Villero ensuring the noblest and silkiest of perfumes, complementing that of La Morra’s Gallinotto. On the palate sits elegantly briary bracken-like fruit; very suave, fluid, with plenty of nuance and savouriness. At its core a glint of red currant fruit. Very promising. 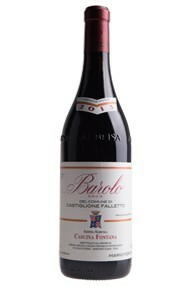 A classic Barolo. Mario’s wines are always incredibly charming, supple and eloquent of the vintage; the 2010 is absolutely no different. This is very reminiscent of a Premier Cru Chambolle-Musigny, such is the purity and delicacy of the fruit and the finesse to the tannins. The palate has wonderfully sweet, pure fruit which has notes of almond and graphite. This is a hugely enjoyable wine and will drink surprisingly early, 2017 onwards, but I have no doubt that it will see many a year in the cellar. This was the second year that Mario incorporated the fruit from his wife Luisa’s family vineyard, Gallinotto in La Morra, providing a lighter, fruitier character to the more ‘serious’ fruit from Castiglione Falletto’s Villero and Valletti vineyards. Reassuringly pale in colour, the nose is bright and perfumed, wooing you on with lush red fruit, hints of quinine, sandalwood and even menthol (indicating the warmth of the vintage). The fresh palate seduces you with charming summer fruit, along with more pulp and grassezza (fat), savoury leather and tobacco. The important fruit coming from Castiglione Falletto providing the pedigree and quiet sophistication. Hidden depths. Mario remembers 2004 as being a vintage that required lots of work in the vineyard (similar in fact to 2009), time evidently well spent as the wine shows a bright heart of lush darker fruit, a herbal, savoury edge, a broader, fuller feel, while the firm tannins remain as fine-tuned as ever. Still getting into its stride, this is a traditional Barolo that would benefit from a couple more years in bottle before broaching, further improving till 2020 at least. One for beef. Just like its creator, Mario’s 2006 Barolo is a gentle giant of a wine. Blending two prime Castiglione Falletto vineyards, Valletti and Villero, it combines sweet charm with determined persistence. David Berry Green, Fine Wine Buyer, August 2011 Our Italian buyer, David Berry Green, tipped me off on this one: I liked the wine’s reserve, and the coolness and depth of the 2006 vintage - yet with layered finesse to it too. Almost ready, but well-cellared it will last to 2025 and beyond. Pretty impressive for a noble wine at this price.